Dr. Nagwa Hedayet has been teaching Arabic as a foreign language for over thirty years. 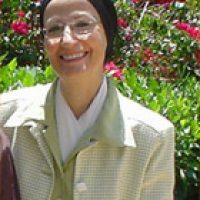 She has contributed to the field of Arabic and Islamic Studies through several of her teachings, research, community service, language programs, developed curricula, and Arabic Language teachers’ training. She was the director of the Arabic Program at the Islamic Center of Southern California in Los Angeles. She also taught Arabic and Islamic studies at different programs including the Center of Arabic Studies Abroad (CASA) at American University in Cairo, Middlebury College in Vermont, as well as, different institutions in Russia, Saudi Arabia, United Arab Emirates and her native Egypt.